Annie Leonard is back! 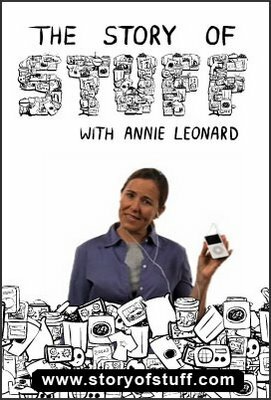 If you watched her 20-minute video, “The Story of Stuff,” then you’ll definitely want to read (and share!) her new book by the same title. Weighing in at a solid 352 pages, the book is published by Free Press and costs $26. A worthy addition to your personal or pairsh library. This is not simply a “green” issue, but rather an issue of justice that affects all of God’s creation. For more about Leonard and her work, click here to read an article printed in SFGate, the online home of the San Francisco Chronicle. See more posts by Erik Teichmann.